Are you a resident of Citrus County? For a limited time only, receive a FREE Rachio 3 Smart Sprinkler Controller and professional installation – a $450 value at no cost to you! What is the Citrus Country program? In partnership with Citrus County, this limited-time program encourages homeowners to maximize watering efficiency with a professionally installed and configured Rachio 3 Smart Sprinkler Controller. If you received an email from Citrus County that you are eligible for a Rachio 3 Smart Sprinkler Controller, you're in luck! Read on for details on this special offer. 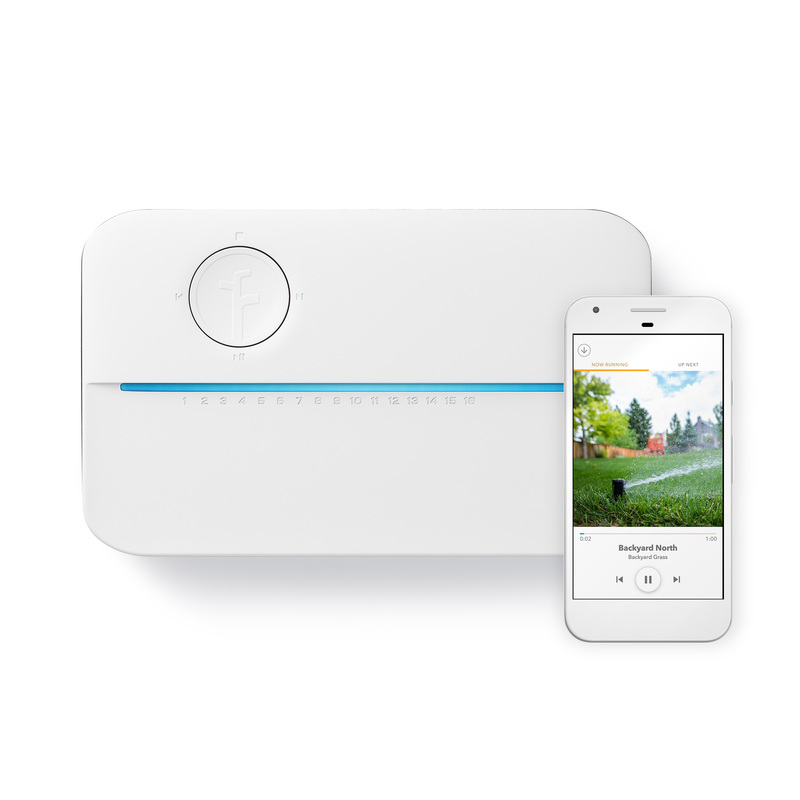 Rachio is a water, time, and money saving sprinkler controller that gives you access to sprinkler system settings and water usage information at your fingertips. Check on and run your sprinklers from anywhere in the world on your smartphone (or with our web app). Rachio is so intelligent that it skips waterings when you have plenty of moisture in your soil. It automates the amount of water your vegetation needs to stay healthy and green, and integrates with many other smart home products! With leading smart watering control, hyperlocal Weather Intelligence™ Plus and more, the Rachio 3 helps you monitor and manage your outdoor water use. For information on how it works and post-installation tips, go here! There is a very limited quantity of discounted Rachio 3 Smart Sprinkler Controllers and professional installations available; claim yours before they're gone! Our installation partner will provide the Rachio 3 controller and an optional weatherproof outdoor enclosure at your installation appointment. No, you must schedule a professional installation to receive your free Rachio 3 Smart Water System. How long does a professional installation take? While installation times vary based on your sprinkler system setup, professional installations average 60 minutes for 8-zone controllers and 90 minutes for 16-zone controllers. If you need to cancel or reschedule your professional installation, email masseysolutions@masseyservices.com. Do I need to be present for the professional installation? Yes. Your Wi-Fi credentials are required in order to install the Rachio 3 Smart Sprinkler Controller. In addition, our professional partners will show you how to use the new system after installation. We’ve partnered with Massey Services a local Rachio-trained company to provide professional installation. Yes, this is legitimate partnership between Rachio and Citrus County. For details, you can see more at go.rachio.com/citrus. Eligible customers are required to meet and comply with certain criteria in order to participate in the program. Citrus County will confirm eligibility based on the following conditions, and as otherwise determined by Citrus County, to preserve the safe operation of the Citrus County water system and system components.